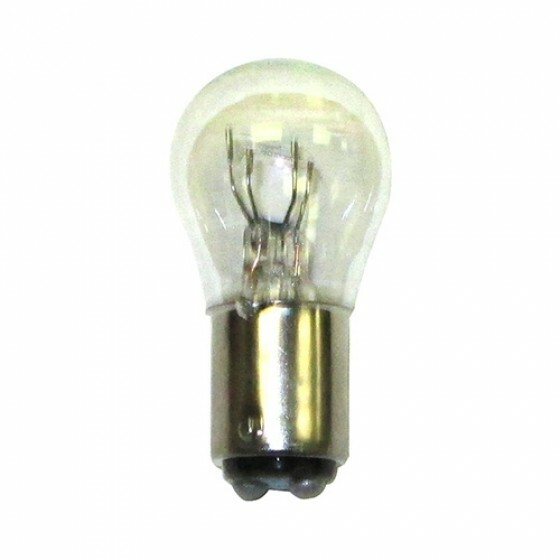 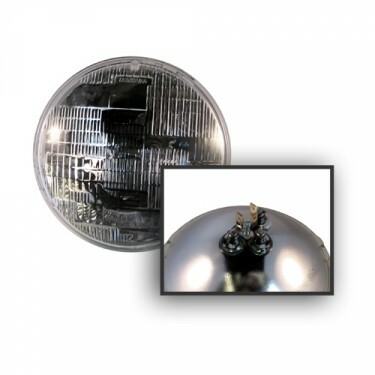 This is a dual filament bulb that can be used on vehicles with turn signals. 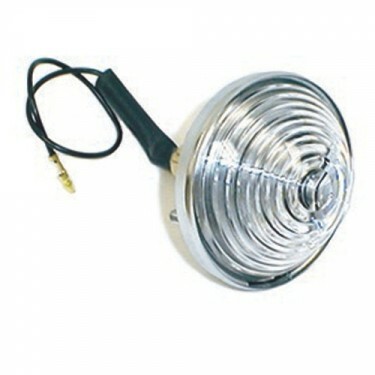 Comes complete ready to plug into your wiring system parking light socket. 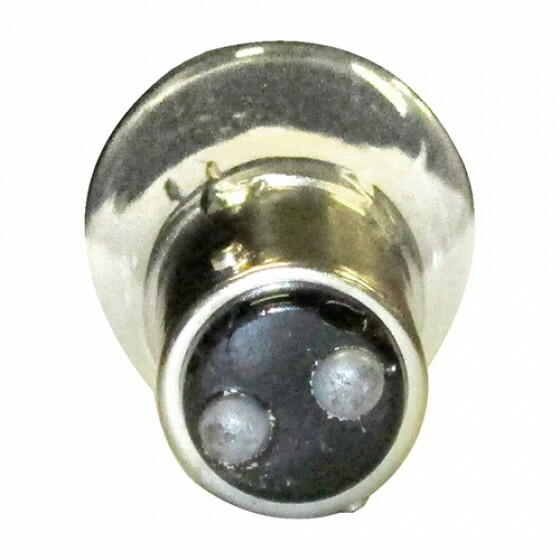 Please see the multiple images we have of the product above to see pin placement. 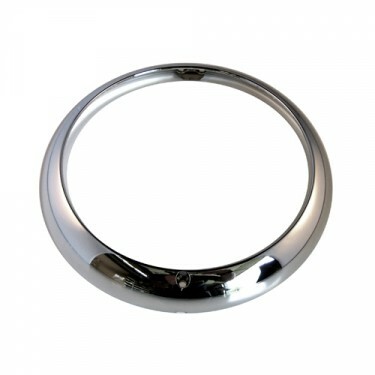 Call us toll free and we can help you match as well. 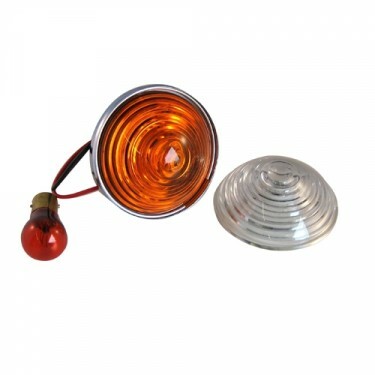 Questions: Can I use these in a 12 volt system? 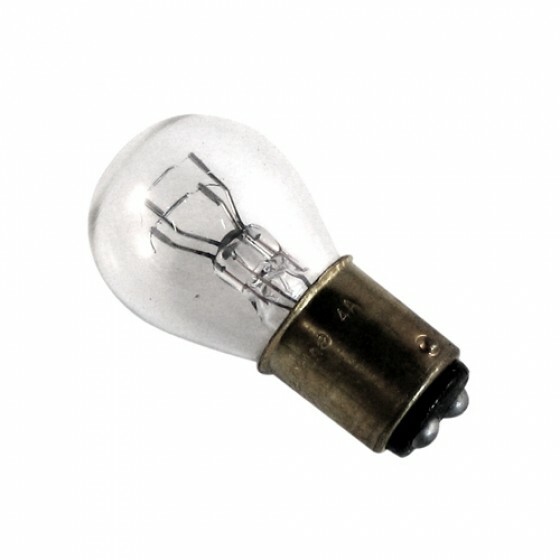 These are 6 volt bulbs only.